I'm not a huge fan of TAGs but sometimes there's one that makes me wanna do it asap. I had this feeling with a lip TAG created by Essiebutton and Amelia - you can watch it here. So let's see what I chose. I already told you about my favourite lip balm and yes it's the Nuxe Reve de Miel (review here). It's thick but amazing and I just love it. Easy peasy - MAC Mangrove has to be the one. Ever since I got it I love it - it's matte, not red, not orange, not pink, just perfect! The best luxury lip product for me is the NARS Lip Pencil in Dolce Vita - perfect everyday color, stays on for quite a long time and feels amazing on lips. On the other hand best drugstore one is Maybelline Color Whisper in Lust for Blush, another everyday color this time slightly purple toned. These are more of a lip balm but they feel really nice and the color range is great as well. See Sheer. No words needed. One of my all time favourites. I really dislike the Lancome Juicy Tubes - for me the worst lip gloss I've ever tried. So sticky! I have to say no. On a daily basis I don't ever use lip pencil - the only time I do is when going out at night with a bright lips. It has to be the Maybelline Color Sensational Gloss in Cashmire Rose - non sticky, perfect color, feels amazing. I have to mention the Maybelline Color Sensational lipsticks. The color range is so unique for drugstore and the pigmentation is also great. My favourite one is Coral Tonic. 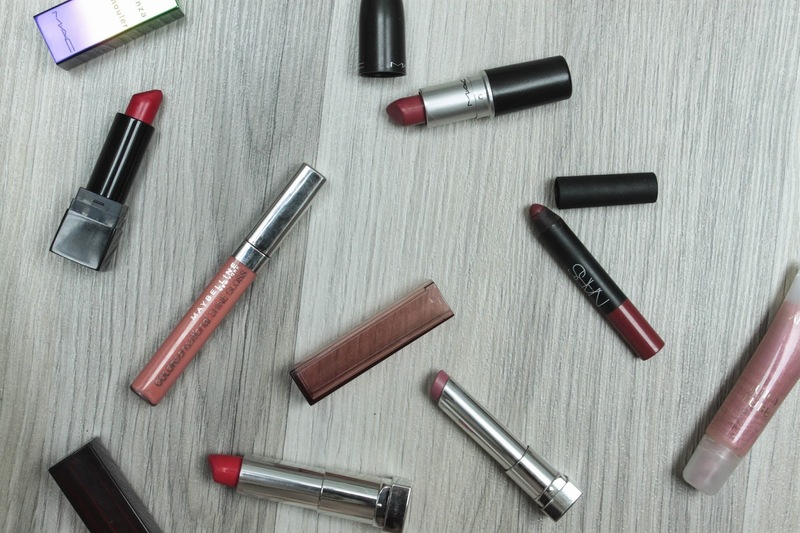 what is yours favourite lip product? Super! Tenhle tag jsem poprvé viděla u Fleur DeForce, která je kamarádka Amélie.